Six strips bacon, cut into small pieces. Cook until crisp, set aside, and leave two tablespoons bacon grease in pan. 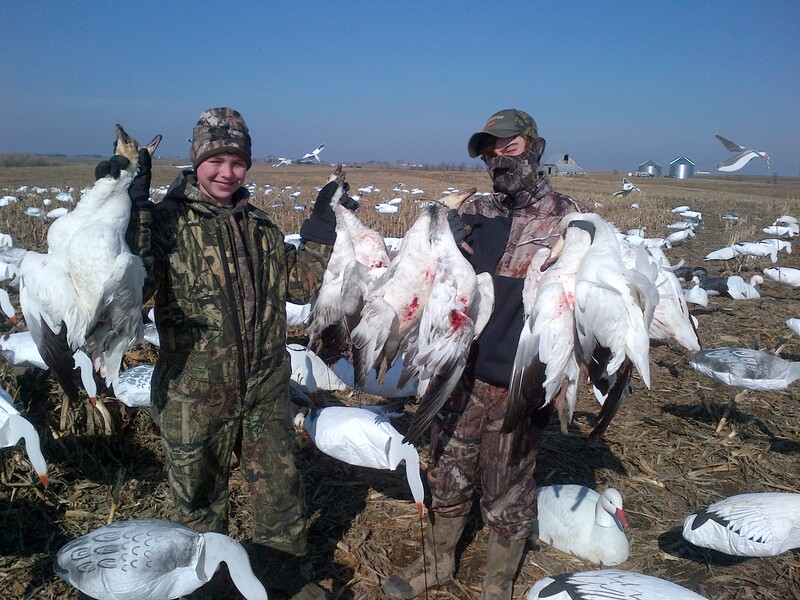 Two cups snow goose breasts or thighs or both, cubed. Season with salt and pepper and sauté until cooked. Set aside pieces on paper towel. One cup fresh mushrooms until cooked. One and a half cups snow goose stock (use chicken stock as substitute), ½ cup each diced onion and carrot, and two cloves minced garlic. One can (10 3/4 ounces) of cream of potato soup. (Note: Doheny also likes to add cubed day-old baked potatoes to the recipe). Two cups half and half, bacon, snow goose meat, mushrooms and one cup cooked wild rice (more if you like), and pepper to taste. Simmer for about 45 minutes, remove from heat, and serve with shredded Swiss cheese and minced fresh parsley. 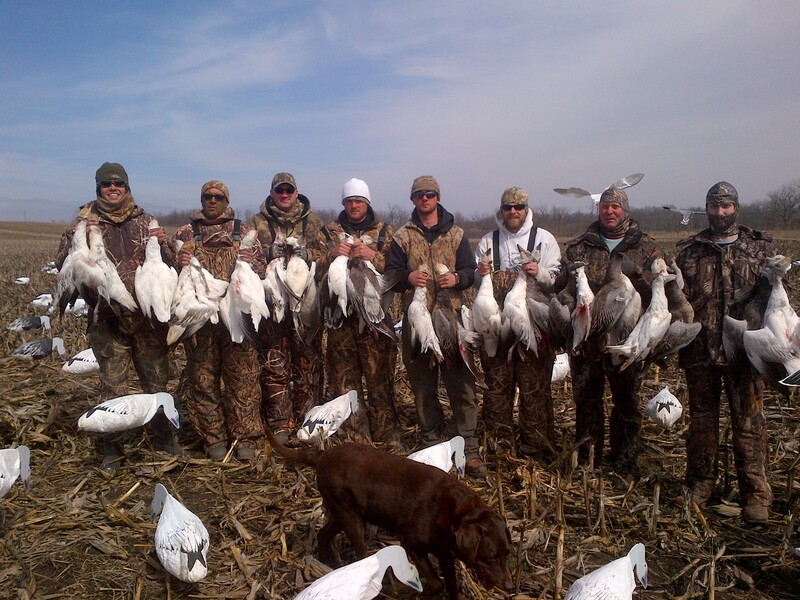 All hunts Feb. 1 – 15th will be $150.00 there are snow geese already in Missouri and the hunting should be fast and furious.